It’s been another busy running week, much to my wife’s chagrin and mine to a degree. I have run three races and have ended with a sense of mild disappointment! 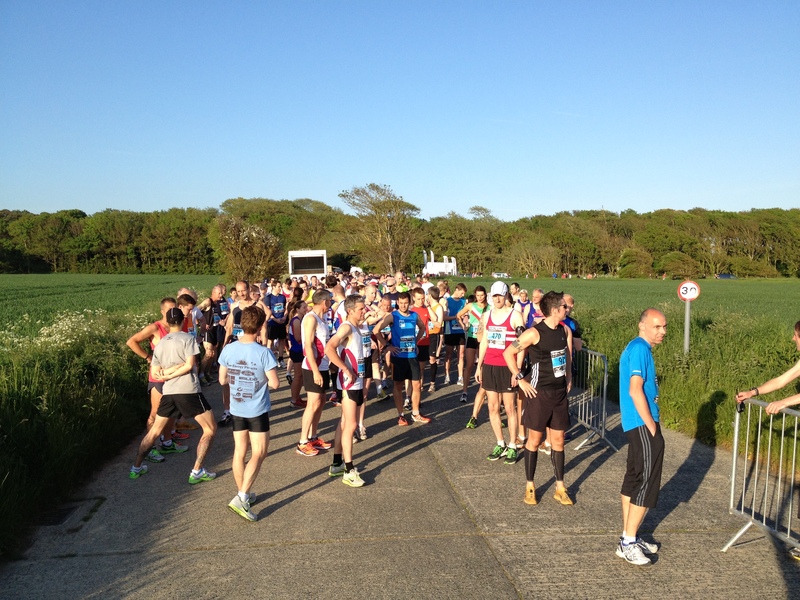 On Wednesday 5th June I ran my first Worthing 10k. Having beaten my PB by some 3 minutes in the Bognor 10k I wanted to knock a few more seconds off if I could. I set off well although my legs did feel a little heavy having been out training with the Harriers the night before. I was given lots of encouragement around the course by club members who were volunteering as marshals, and I managed to keep my pace all the way round. However, approaching the finish line, I looked at my watch and realised a new PB was going to be tight. I sprinted the last 200 metres to the line and was delighted to cross it with the clock reading 39:45. The time was even called out by Maureen (Harriers coach) on the microphone as I finished. My watch read 39:43 and this would make sense as it took a couple of seconds to cross the line at the start. So I naturally assumed my gun time was 39:45 and my chip time was 39:43. This gave me a new PB by all of two seconds, but a PB nonetheless. The next day I checked the results online to discover I had been given a gun time of 39:47 and chip time of 39:45!! Only equalling my previous best. Ok, so it’s not the end of the world, but mildly disappointing! And so to Saturday morning and parkrun in Preston Park, Brighton. I’ve already run a PB for 5k in the past month but, I thought, if I can run the first 2k of a 10k run at 3:30 pace, then surely I can keep that up for little while longer for a 5k. So I decided to really go for a sub 19 minute time. I did the first 1k in 3:27 but then my plans were foiled by a strong headwind which really sapped the energy and fight out of me and my legs. I finished in a mildly disappointing 19:33. The next day I was a Hove Park for another instalment of the West Sussex Fun Run League (WSFRL), a 5k race organised by the Arena 80 running club. Given my poor performance over 5k the day before and the fact that Hove Park is far more undulating than Preston Park, I estimated a time somewhere around the 19:30 mark again. It’s always a bit different in a proper race. Parkrun is more of a fun run than the fun run league races! Somehow it felt more important and I ran my fastest ever 5k. 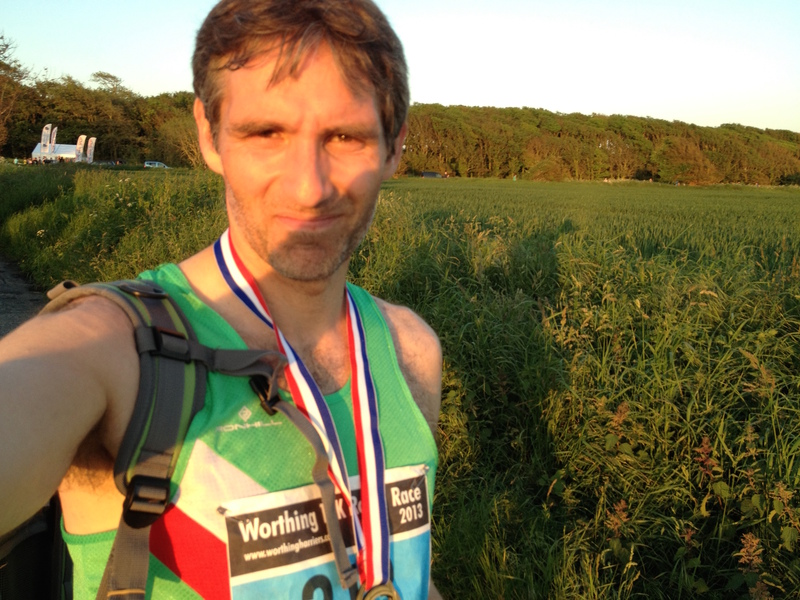 I finished 33rd overall and about 8th out of the Worthing Harriers runners, which doesn’t sound that great, but my time was 19:05. A PB!!! But actually not a PB. The problem with the WSFRL is that the races are not UK Athletics registered and therefore technically don’t count! They certainly don’t affect my Run Britain Ranking. So although this was my best 5k ever and a PB time, I can’t call it a proper PB. As I say, mildly disappointing.